In the article, the experts use as an example a case that generated much public controversy in Europe and has been included in important publications concerning human rights. In October 2002, police officers in Frankfurt, Germany, had in custody a man who they suspected had kidnapped an 11-year-old boy. Although the man was arrested while trying to take the ransom money, he maintained his innocence and denied having any knowledge of the child’s whereabouts. Worried for the child’s life, the officer in charge finally decided to threaten to inflict serious pain upon the suspect if he did not reveal where he had hidden the child. The threat worked—however, the child was already dead. This research project was funded by a grant from the Social Sciences and Humanities Research Council, as well as a prestigious Banting Postdoctoral Fellowship awarded to Dr. Dubljevic. For more information, please refer to the complete article published online by AJOB Neuroscience: http://www.tandfonline.com/doi/full/10.1080/21507740.2014.939381#.VGODpfOEiUl. Veljko Dubljevic is a postdoctoral fellow in the Neuroethics research unit at the IRCM. He obtained a PhD in political science at the University of Belgrade, and studying philosophy and neuroscience at the University of Tübingen, he obtained a PhD in neurophilosophy at the University of Stuttgart. Dr. Dubljevic’s primary research interests include the ethics of neuroscience and technology, and the neuroscience of ethics. His other interests include bioethics, political theory, moral theory, business ethics, and philosophy of law. He has over 30 publications in moral, legal and political philosophy and in neuroethics. He is also engaged in the activities of the International Neuroethics Society (INS) and serves as a member of the INS’s Communications Committee. Dr. Dubljevic is the recipient of a 2013-2014 Banting Postdoctoral Fellowship. 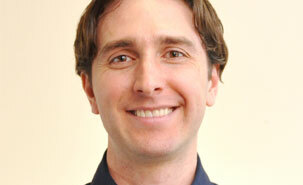 Eric Racine is Associate IRCM Research Professor and Director of the Neuroethics research unit. He obtained a PhD in applied human sciences (bioethics) from the Université de Montréal. Dr. Racine is Associate Research Professor in the Department of Medicine (accreditation in Social and Preventive Medicine and in Bioethics) at the Université de Montréal. He is also Adjunct Professor in the Department of Medicine (Division of Experimental Medicine) and the Department of Neurology and Neurosurgery at McGill University. Dr. Racine is an affiliate member of the Biomedical Ethics Unit at McGill University. He is a Research Scholar from the Fonds de recherche du Québec – Santé. Dr. Racine’s research is designed to improve the ethical aspects of quality of care, research practices and public communications in the domain of clinical and basic neuroscience. For more information, visit www.ircm.qc.ca/racine.